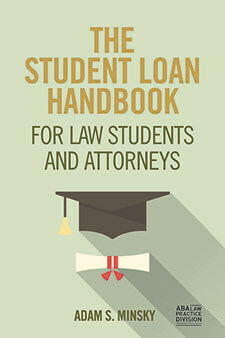 Share the post "Student Loan Management When Disaster Strikes"
It’s a scary time for millions of Americans right now. Much of eastern Texas has been declared a disaster area following Hurricane Harvey. Puerto Rico and the U.S. Virgin Islands have been declared disaster areas as well following Hurricane Irma, and the southeastern U.S. (especially Florida) may be next. The last thing anyone in those areas is thinking about right now is student debt. But what happens to your student loans when a disaster strikes? Your monthly payments will continue to be due on your student loans, and that’s unlikely to automatically change as a result of a disaster. That means that if you have set up auto-debit, the payments will continue to be withdrawn from your bank account automatically – whether or not you have the money. So if you anticipate being short on cash, you may want to cancel the auto-debit by contacting your servicer (you can always re-establish it later). On the other hand, if you don’t have auto-debit, you’ll need to make your payments manually. This could be a problem if you lose power, internet, or cell phone service, or if mail delivery is down or delayed. So if you haven’t set up auto-debit or automatic payments on your student loans, it might be prudent to talk to your servicer about making the next monthly installment payment early (before the disaster strikes, assuming you have warning) to avoid late fees and negative credit reporting if you can’t pay on the due date. If you cannot afford your monthly payment because of a natural disaster, you may be able to temporarily postpone payments through a forbearance. For federal student loans, the U.S. Dept. of Education allows for a special kind of disaster forbearance for up to three months for areas that have been declared a federal disaster area. As of right now, that includes much of eastern Texas, all of Puerto Rico and the U.S. Virgin Islands, and much of Florida. Aside from exceptional events, the forbearance is not automatic, however, so you’ll need to talk to your federal student loan servicer. Make sure you specifically request a disaster-related administrative forbearance, rather than a general or economic hardship forbearance; you’ll also want to ask about whether any outstanding interest will be capitalized (added to the principal balance). 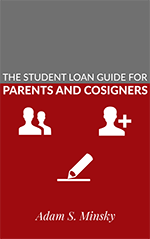 Private student loans, on the other hand, typically will have far fewer options, so only request a forbearance for your private loans if absolutely necessary. 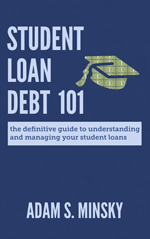 And remember – interest still accrues during the forbearance period for any student loan, so your balance will grow. There may be additional relief available for borrowers in default on their federal student loans, including a temporary suspension of collections activities and additional flexibility for borrowers making voluntary payments. If you are repaying your federal student loans under an income-driven repayment plan, remember that you can request an adjustment of your monthly payment at any time due to changed circumstances. So if you experience a drop in your income during or after a disaster, you can submit a request to your federal student loan servicer to have your monthly payment recalculated. If you have no income, your payment under any income-driven plan (ICR, IBR, PAYE, or REPAYE) may go down to as low as $0/month. This could be a better solution than a temporary forbearance, since the recalculated payment would last for a 12-month period (after which you would need to recertify by sending in new income information), and there is no interest capitalization as long as you remain in the same repayment plan. However, keep in mind that it can sometimes take one to two billing cycles for your servicer to process your request. You could always request a brief forbearance to cover that gap, but just be aware of potential interest capitalization. And, as always, interest continues to accrue on your loans. Depending on the severity of the disaster, you may be able to apply for state or federal financial assistance, which can help with all sorts of expenses. You can check out this government website to see if your area has been declared eligible for individual assistance, and you can start the application process. You can also call FEMA at 1-800-621-FEMA. You’ll also want to be sure to contact any insurance carrier you have (renter’s insurance, homeowner’s insurance, condo insurance, etc.) to start the process of filing a claim.